We asked two students who contributed to Marcantonio Raimondi, Raphael and the image multiplied to tell us more about how they put together their catalogue entry. At the beginning of the academic year in September 2015, we were given the choice of which modules we could enlist to do over the course of our final year of studying of History of Art at Manchester. Titled Renaissance Print Culture, this class examines the rise of printmaking in Europe, deciphering the material, social, and economic history of visual print media during their development in the early modern period. The opportunity to work at the Whitworth, studying their collection of Renaissance Prints, that was offered with this module was one I could not turn down, especially to be actively involved in the upcoming exhibition, Marcantonio Raimondi and Raphel, that begins on the 30th September at the Whitworth Art Gallery. With the help of our lecturer Dr. Edward Wouk and David Morris, the head of the Collections at the Whitworth, we have been able to have access to an extensive amount of the Whitworth’s collection of prints, and delve into their creation and meaning, learning more about the processes and techniques of printmaking as each week passes, as well as it’s growing influence across the world. We have also been able to see the works of Marcantonio Raimondi that are located in the John Rylands Library and the Chetham’s Library, extending our research beyond the Whitworth to locations across central Manchester, in order to improve our understanding of Marcantonio. After picking which print we would focus on over the course of the module, which began in February 2016, each of us created an entry which is published in the catalogue alongside the exhibition. For many, if not all, of the students involved in this module, the catalogue entry represents the first instance in which our academic writing has been published. To have begun this term knowing nothing about the prints laid out before us, to now having studied their contextual background and to soon have a physical copy to show for our research is a hugely exciting prospect, and one that is unparalleled with anything else I have done throughout my five years of studying History of Art both at Manchester as an Undergraduate and during my A-Level studies. The entire process of locating information then using it to aid my own interpretation of my triad of prints has been hugely rewarding, as it has allowed me to fully understand the time and exploration that goes in to the creation of an exhibition, as each object or image has a fundamental meaning to the exhibition as a whole. The limited size of the entry meant that our research had to be concise and to the point, only using quotes or references that truly exemplified an aspect we were trying to show or an aspect about the print that we wished to highlight from another writer’s perspective. Although testing at times, this ensured that each sentence had an argument, and was effective to the entry in its entirety. Having recently completed my dissertation, I found myself reiterating this technique to ensure that every point I was trying to portray was in a succinct manner, and I am sure it is a skill I will continue to use throughout my career. Overall the process of creating a catalogue entry for Marcantonio Raimondi, Raphael and the image multiplied has been a hugely invigorating and rewarding experience. Since it reopened I have hugely admired the space of the Whitworth and everything within it, and I have gained so much joy from being able to study there. To be able to tell future employers and my friends and family of what I have achieved, and to have a physical copy of the catalogue to show this has made this whole experience incredibly worthwhile and enjoyable, and I would happily repeat my involvement in this module, and the exhibition. One of the most intriguing modules I have taken as a university student was Renaissance Print Cultures offered in the Art History and Visual Studies department at the University of Manchester. This module was unique in that we had the good fortune of regularly engaging with fantastic collections from three of Manchester’s renowned cultural institutions – the Whitworth Art Gallery, the John Rylands Library and Chetham’s Library. 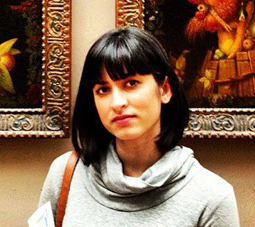 Access to such historically rich and diverse collections is rare for students of art history because so many works simply are not within reach. 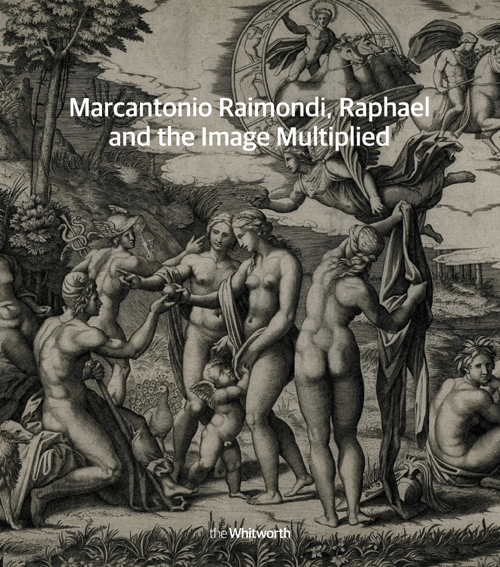 We were also given an opportunity to write entries for the exhibition catalogue Marcantonio Raimondi, Raphael and the image multiplied, which will accompany an upcoming show on Marcantonio Raimondi and Raphael at the Whitworth Art Gallery. During week one, each student picked a print on which they would eventually write an entry. Nearly every session the same prints were on display, so that we could examine them with fresh eyes and a new perspective informed by our weekly readings. With each passing week, new things would emerge from the images. Art history students do not often get to engage with their materials so intensely, so this object-based course was unique and exciting. I wrote two entries – one for Marcantonio Raimondi’s Adam and Eve (c. 1510-20) and another for Agostino Veneziano’s Ornamental Panel (c. 1530-25). Created using different printmaking techniques, these two canonical works are stylistically distinct and required an incredible amount of research into the different technical, theoretical and historical aspects of each work. The most challenging part of writing these catalogue entries was the word constraint. Pages and pages of research had to be synthesised into just 350 words. This meant that every single word had to be carefully chosen and framed in an engaging and informative manner for an audience that might vary in their knowledge about the works on display. Writing these entries was a very different task than the academic writing to which I had previously been accustomed. It was a practical exercise that allowed me to gauge my strengths and weakness as an academic writer, and it helped me to learn more about the publishing and editorial processes of a university press – a process I know I will encounter again as an academic. After weeks of researching, writing and editing (a collaborative process between myself, supervisors, peers and staff at Manchester University Press), I felt that I had produced a piece of writing that I was really proud of and I know many of my peers felt the same. Given the chance, I would certainly like to be involved in something like this again. Practical experience is vital, and there should be more modules that offer students opportunities like this. ‘Marcantonio Raimondi, Raphael and the image multiplied’ is available to buy on our website, or at The Whitworth shop. 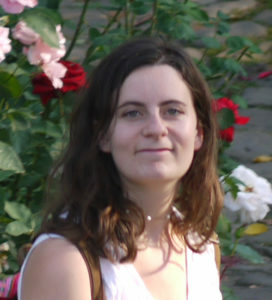 Category: Art History, Blog, Cultural Studies, Exhibition catalogue, History	0 Comments.